This Jaguar E-PACE has a powerful Intercooled Turbo Premium Unleaded I-4 2.0 L/122 engine powering this Automatic transmission. WHEELS: 20 5 SPLIT-SPOKE (STYLE 5051) -inc: Gloss Black finish, SURROUND CAMERA SYSTEM, SIRIUSXM SATELLITE RADIO & HD RADIO. * Drive Your Jaguar E-PACE HSE in Luxury with These Packages*SANTORINI BLACK METALLIC, RED BRAKE CALIPERS, PREMIUM CARPET MATS, MARS RED/EBONY, WINDSOR LEATHER SEAT TRIM W/STITCH, GARAGE DOOR OPENER (HOMELINK), FIXED PANORAMIC ROOF, CONFIGURABLE DYNAMICS -inc: throttle, CONFIGURABLE AMBIENT INTERIOR LIGHTING, COLD CLIMATE PACK -inc: Heated Windscreen, heated washer jets, Heated Steering Wheel, BLACK EXTERIOR PACK -inc: gloss black side window surround and gloss black side vents, Gloss Black Grille w/Gloss Black Surround, AIR QUALITY SENSOR, Valet Function, Trunk/Hatch Auto-Latch, Trip Computer, Transmission: ZF 9-Speed Automatic. 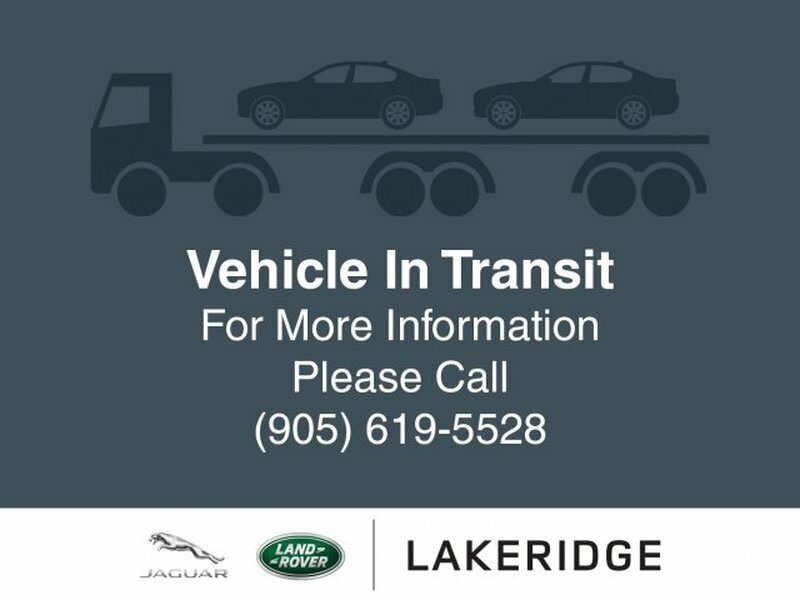 * Stop By Today *Live a little- stop by Jaguar Land Rover Lakeridge located at 280 Achilles Rd, Ajax, ON L1S 7S3 to make this car yours today!This Jaguar E-PACE has a strong Intercooled Turbo Premium Unleaded I-4 2.0 L/122 engine powering this Automatic transmission. WHEELS: 20 5 SPLIT-SPOKE (STYLE 5051) -inc: Gloss Black finish, SURROUND CAMERA SYSTEM, SIRIUSXM SATELLITE RADIO & HD RADIO. * Drive Your Jaguar E-PACE HSE in Luxury with These Packages*SANTORINI BLACK METALLIC, RED BRAKE CALIPERS, PREMIUM CARPET MATS, MARS RED/EBONY, WINDSOR LEATHER SEAT TRIM W/STITCH, GARAGE DOOR OPENER (HOMELINK), FIXED PANORAMIC ROOF, CONFIGURABLE DYNAMICS -inc: throttle, CONFIGURABLE AMBIENT INTERIOR LIGHTING, COLD CLIMATE PACK -inc: Heated Windscreen, heated washer jets, Heated Steering Wheel, BLACK EXTERIOR PACK -inc: gloss black side window surround and gloss black side vents, Gloss Black Grille w/Gloss Black Surround, AIR QUALITY SENSOR, Wireless Streaming, Valet Function, Trunk/Hatch Auto-Latch, Trip Computer. * Visit Us Today *For a must-own Jaguar E-PACE come see us at Jaguar Land Rover Lakeridge, 280 Achilles Rd, Ajax, ON L1S 7S3. Just minutes away!Prices include all fees except licensing and HST.